This silk flower arrangement is the very definition of elegance and opulence.The perfect petals, strong realistic stems, and gorgeous vase bring together all the essential elements. 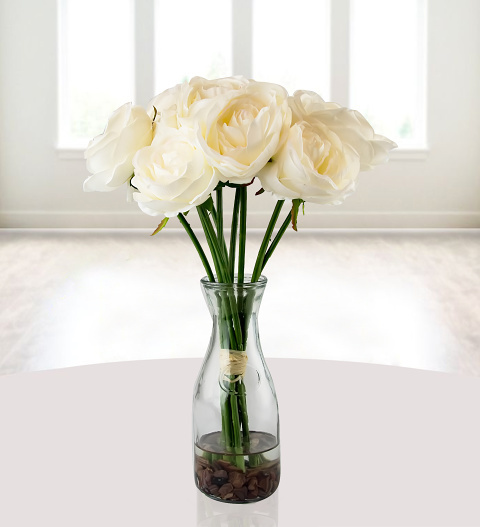 These high-quality roses are made from the very best silk, foam, and plastic to ensure a realistic look and a durable arrangement. We have placed them in a glass vase along with resin and pebbles for that realistic water look! An excellent gift for a friend, loved one, your spouse, or even yourself!